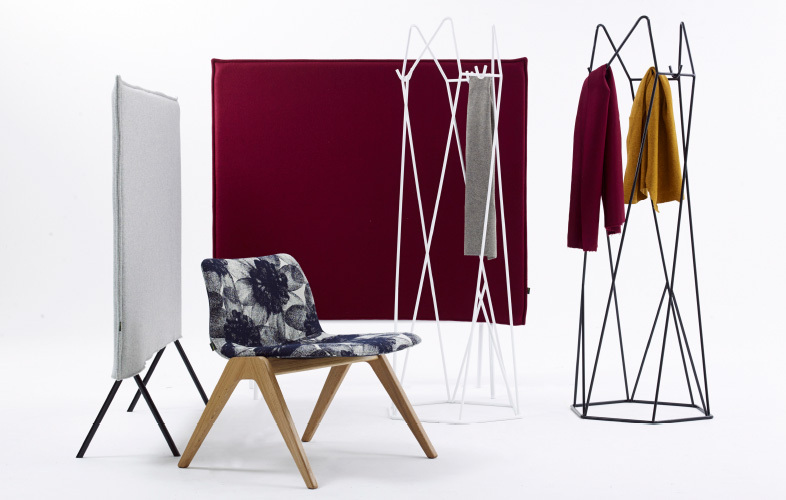 Looks great with coats or without them, this bold, wire-framed, graphic coatstand, will enhance the visual appeal of any space. 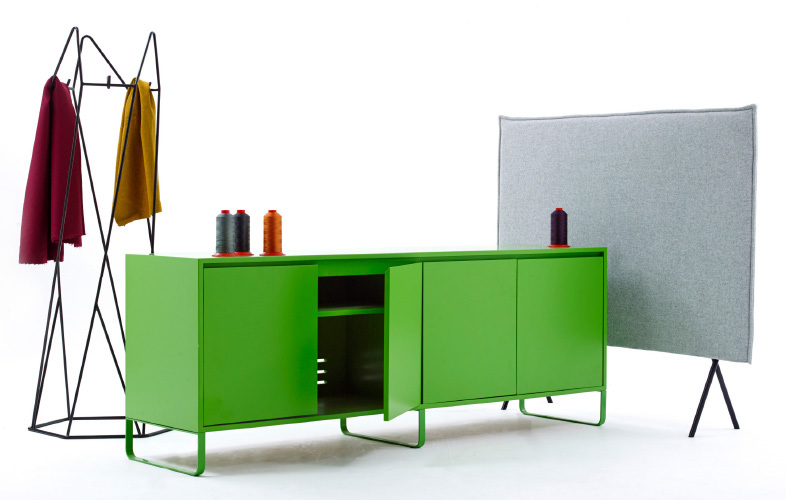 If we had to create a category for this striking, steel storage solution, in powder-coated frog green, we’d say it was “fun industrial”. 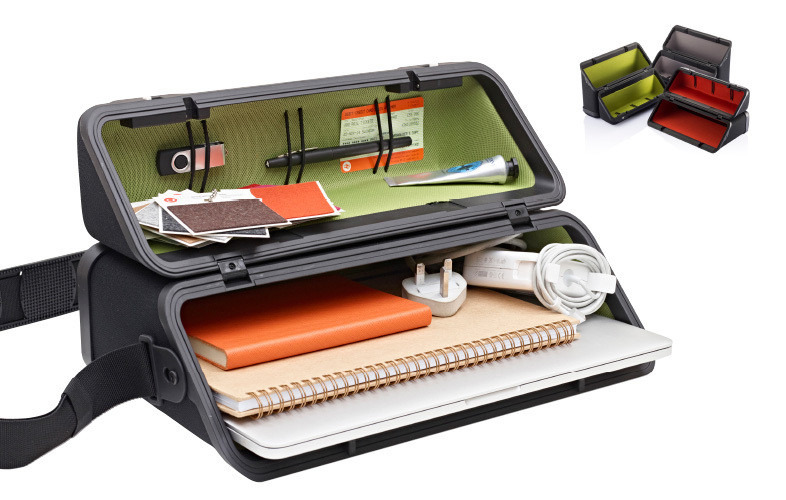 This transportable storage case is perfect for hot deskers, movers and shakers. Just fill it with essentials and rock up. Anywhere. 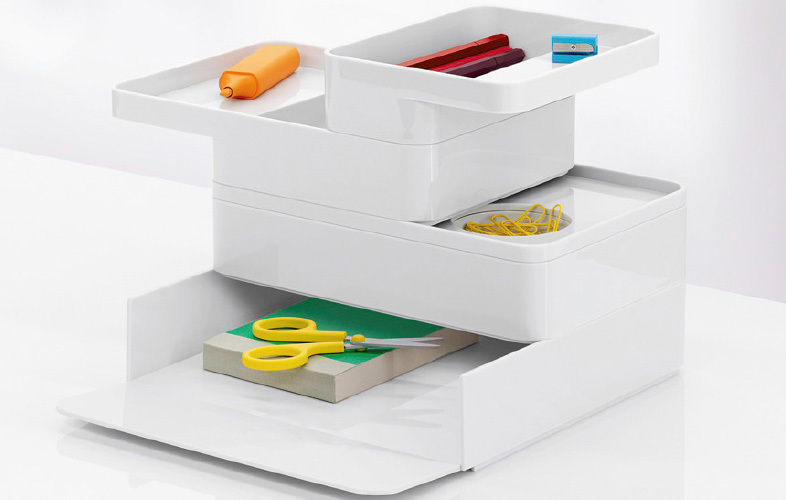 There’s no reason why portable storage shouldn’t look great. Look at it, all soft curves and trying not to be noticed. 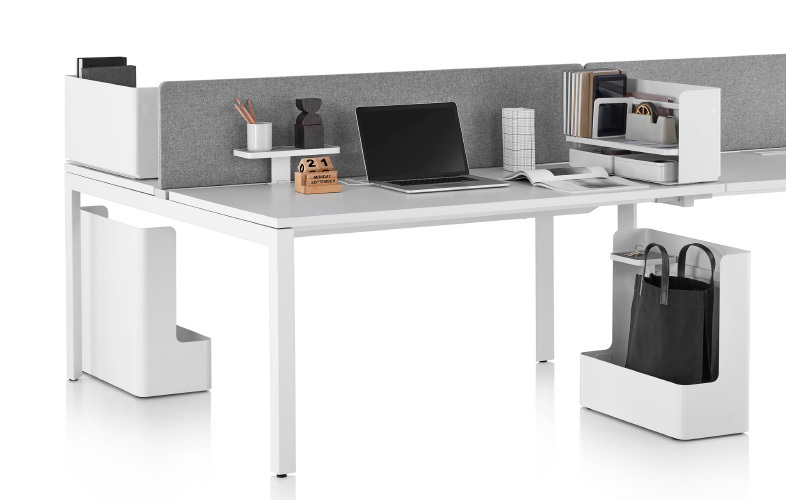 Work Tools provide modular storage and display solutions, allowing you to personalise your workspace, so you feel more at home. 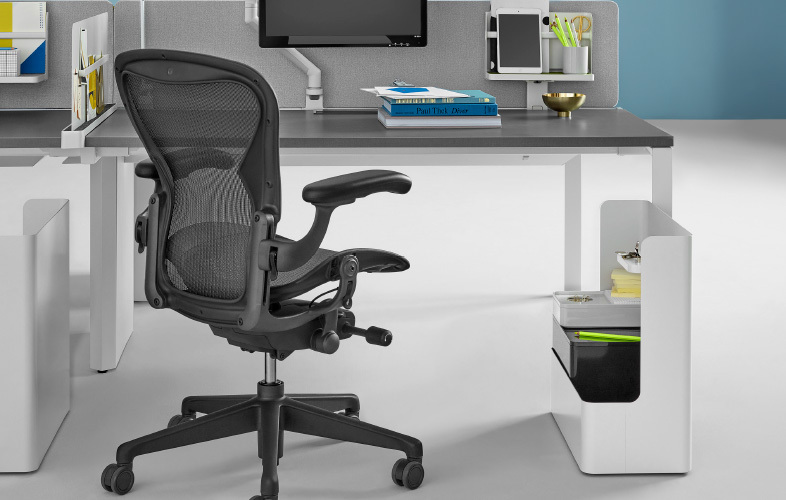 The design of Work Tools is based on extensive research into organising principles, which is why it’s so brilliantly useful and adaptable. 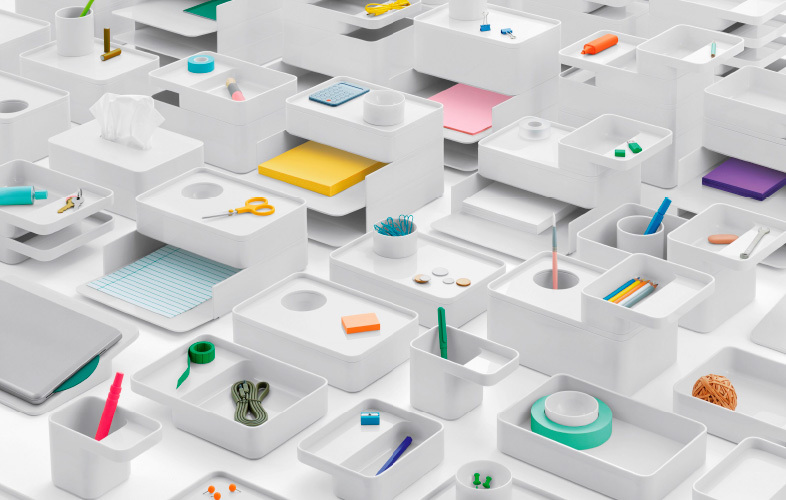 Work Tools’ neutral palette creates a blank canvas for you to fill with all of your practical and personal, brightly-coloured stuff. 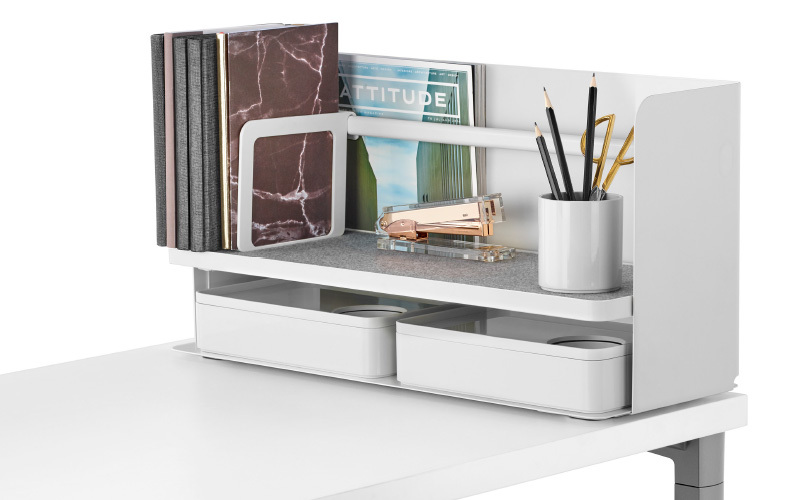 Desk-mounted shelving systems create additional storage areas, for those who’ve outgrown their exisiting space. 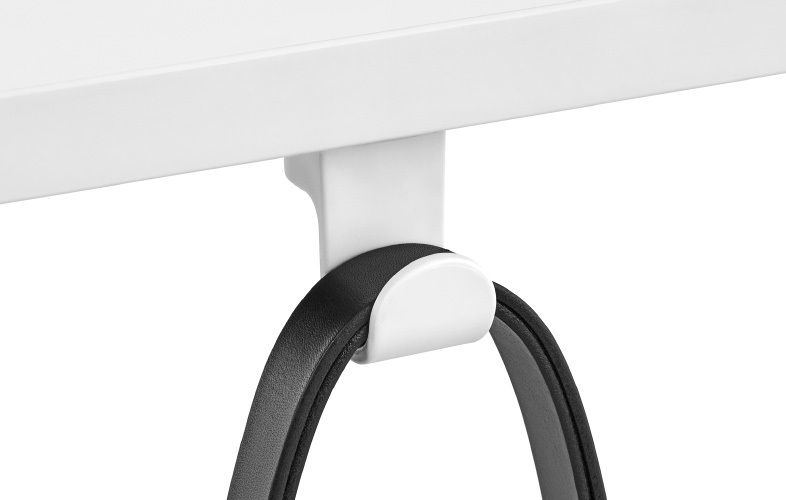 Man bags or handbags, this Bag Hook can be fixed under a desk or clamped to the top of it, giving you easy access to your lovely stuff. 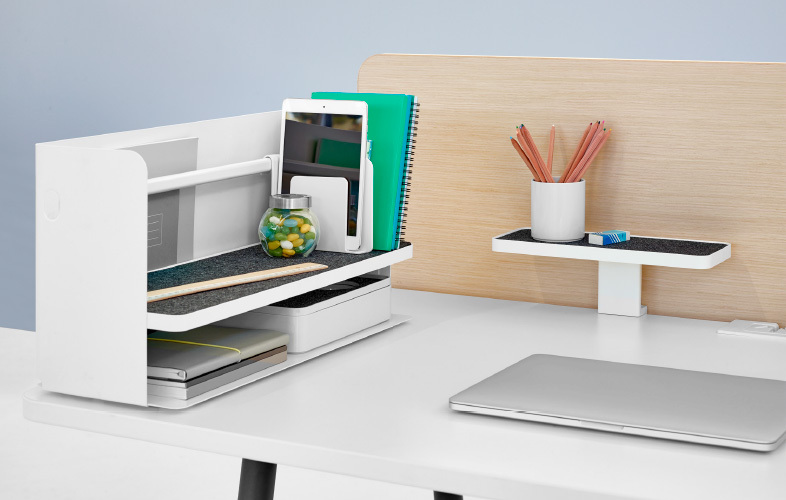 This sleek, unobtrusive metal divider creates a more personal desk space and offers the chance to display some prized possessions. 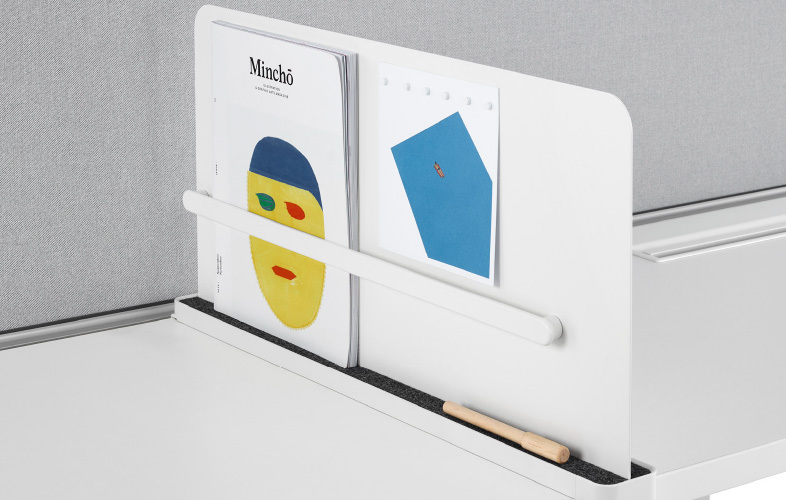 Designed by Ayako Takase and Cutter Hutton at Observatory, Ubi Work Tools showcase their skill for combining “simple richness with clever, pragmatic” design. 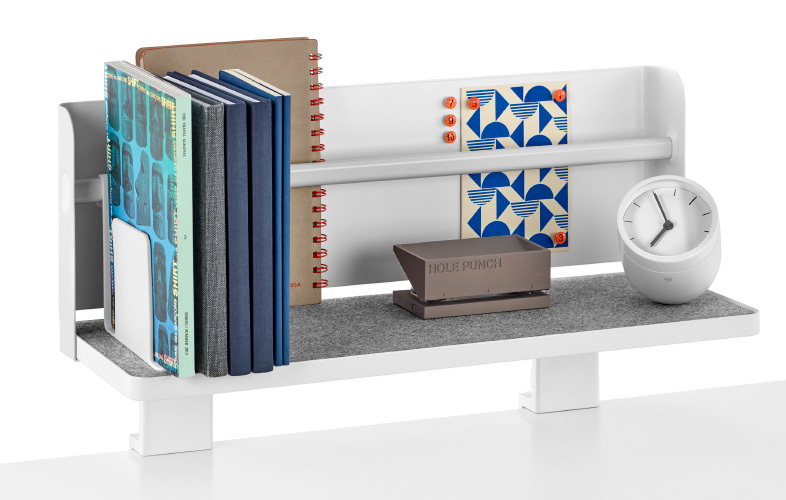 Find the brightest books, the shiniest scissors and most respledent pens and compete to create the most dazzling desk storage.